There was a pot-luck at the Yellow Pine Tavern March 16th. Corned Beef and Cabbage provided by the Tavern. 22″ of snow on the flat by the school. The contest for the 30th Annual Yellow Pine Music Festival T-shirt logo is open! This year’s theme is “Then and Now”. All submissions must be received by 5:00 p.m., Monday, May 20, 2019. Submissions become the property of the Village of Yellow Pine Association. *Note: We have learned that simple designs show and sell better. Anne Labelle – Midas Gold Corp.
1. Decision was made to record the Stibnite Advisory Council meetings. 2. Meeting protocol for the public will be listen and observe. 3. Discussed need for questions to be fielded through the community’s representatives. No new questions were presented to the Advisory Council from Cities or Counties at this time. 4. Discussed community input process from unrepresented areas. Local streets are snow/ice covered but starting to break-up and getting slushy on warm afternoons. 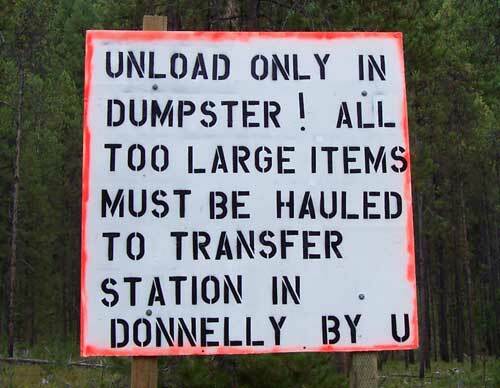 A report March 14 that the transfer station is empty! A report March 15 that the dumpsters are empty, but there is trash strewn between and behind the bins. Report March 17 that the ice floor is starting to break up, slushy during warm afternoons. Mountain lion sighted a few mile up the East Fork from Park’s Creek last week. Fox tracks in the village last week. Please do not leave pet food outdoors and remember to keep trash secured, it will draw foxes, coyotes and loose dogs. Monday (Mar 11) clear cold night, low of 2 degrees. Clear and very blue sky this morning, 24″ old snow on the ground. Lots of jays visiting and vocalizing. Clear blue sky mid-day, light breezes and icicles dripping a little. Red-breasted nuthatches joined the jays at the feeders after lunch time. Mid-after noon strong sun, very clear sky and light breezes, high of 47 degrees. Elk mobbing the neighbor’s hay, couple of gun shots just before dusk. Clear sky at dusk, a little below freezing, slightly thicker crescent moon high in the sky. Stars out and calm before midnight. Tuesday (Mar 12) clouds came in before daylight, low of 9 degrees from yesterday morning, crusty old snow has buried ice layers and hard to measure, average 23″ deep. Fresh fox tracks in the neighborhood, heard a raven flying over. Pine squirrel, jays and red-breasted nuthatches visiting. Blustery and cloudy mid-day. Some juncos and the local pine squirrel showed up after lunch time. By mid-afternoon there were a couple of breaks in the clouds, gusty winds and a few snow flakes, high of 42 degrees. Light snowfall late afternoon (big flakes for a little while around 6pm.) Still snowing at dusk, measured 1″ new snow. Cloudy and calm night. Wednesday (Mar 13) overnight low of 22 degrees, cloudy, breezy and snowing lightly this morning, measured an inch from last evening’s snowfall and 24″ on the ground. Juncos and jays visiting. Occasional flakes of snow before lunch and breaks in the clouds on and off. Mail truck made it in good time. Breaks in the clouds and flaking at lunch time. Hairy woodpecker and juncos visiting after lunch. Occasional breaks in the clouds on and off, bits of sunshine before and after 12pm and occasional flakes of snow. Mid-afternoon gusty breezes, mostly cloudy and occasional flakes of snow, high of 35 degrees. At dusk it was partly cloudy to mostly clear and temps dropping quickly. Bright crescent moon and stars at 1030pm, flags flapping in the breeze. Thursday (Mar 14) overnight low of -2 degrees, clear sky and slight cold breeze this morning, 24″ crusty icy old snow on the ground. Heard a raven and jays, juncos and hairy woodpecker came to visit. Bright sunshine mid-day. Pine squirrel, a clarks nutcracker and a white-breasted nuthatch stopped by after lunch. Still clear and sunny mid-afternoon, icicles dripping and light variable breezes, some big slabs of snow came off a few roofs, high of 43 degrees. Very quiet day, a report the transfer station has been emptied! Clear sky at dusk, fat crescent moon overhead and below freezing. Bright crescent moon and scattering of stars out at 11pm. Clouds moved in before morning. Friday (Mar 15) overnight low probably in the low 20s (the gizmo still had 7F from yesterday morning) overcast and light breeze. Average 23″ old snow on the ground, hard to poke the measuring stick through the ice layers. Lots of jays this morning, red-breasted nuthatches, a few juncos and the local pine squirrel visited. It was partly cloudy by mid-day and above freezing. Hairy woodpecker and more jays visited after lunch. Mid-afternoon warm and partly cloudy, more roof slabs sliding off, high of 50 degrees. At dusk it was right at freezing and clear sky. Some haze in the sky before midnight, not as many stars. Saturday (Mar 16) overnight low 13 degrees, partly cloudy/hazy sky this morning, strong sun bringing up the temperature quickly. Estimate 23″ old crusty snow/ice on the ground. Lots of noisy jays and a red-wing blackbird visiting. Filtered sunshine and icicles dripping mid-day. Starlings and hairy woodpecker joined the jays after lunch. By mid afternoon it was warm with high haze and filtered sunshine, high of 52 degrees. Break-up has started on local streets in a few spots. Thin haze but mostly clear at dusk. Thicker haze at midnight, patches of stars. Sunday (March 17) overnight low of 15 degrees, mostly hazy sky and filtered sunshine this morning, measured 22″ crusty hard snow on the flat. Jays and pine squirrel visiting. Overcast mid-day, slow to warm up. Starlings pigging out on the suet after lunch. Mostly clear and warm mid-day, light breezes, high of 53 degrees. At dusk it looked mostly clear, some high haze and still above freezing. Linda Elaine Kildow passed away March 16 peacefully in her home. Linda Kildow taught school in Yellow Pine from 1992 till 2001 when the school closed. Some of you may remember her as Linda Murphy or Vipperman. Warren Theodore Harris was born May 11, 1977 in Boise, Idaho. At the age of 41, he went to be with his Lord and Savior on March 11, 2019, at his home in Everett, Washington. Warren was born in Boise, Idaho. His parents, Warren and Karen Harris, were very excited and proud to have a son join their two girls. Warren attended Emmett schools and was involved in many sports activities while growing up in Emmett. Warren loved many sports, but his “true love” was football. Warren played on the Emmett Varsity Football Team as a freshman and continued to play linebacker throughout his senior year. Warren attended football camp in Moscow, Idaho under the direction of Emmett’s Coach Pratt. Warren’s senior year, he won an award titled “Mr. Defense” and was very proud to receive this among his teammates. After high school, Warren met his first wife, Misty, in 1997 and they married in December of that year. They welcomed a daughter, Savannah, in March of 1998. Warren and Misty went their separate ways in 2001 and Warren remained in Bellingham, Washington. Warren met Sarah Blackburn in 2003. They were married in 2005 and they had two children, Alexis in 2003 and Maximus in 2009. They lived in Bellingham, Washington and then moved to the Boise area for a short while. Warren and Sarah decided to part ways and both parties moved back to the Seattle area. While living and working in Everett, Washington, Warren met his current girlfriend, Amy. Together they moved into an apartment and had made it their home for the last 7 years. Warren enjoyed the Seattle area and while being in Seattle Seahawk country, he still cheered on his favorite team, the Chicago Bears. Every year during high school football season, he would ask about the Emmett High School football team and how they looked. Warren was very excited to learn that his nephew’s team was on a roll. Our family would call him and tell him about the games and how the team played in the State Tournament. It was extra special when his nephew’s team made it to the State Championship Game in Pocatello, Idaho in 2015 and won. Football took up a lot of time, but Warren did enjoy the outdoors. He liked to camp, fish, hike, loved campfires and enjoyed time at the family cabin at Warm Lake. 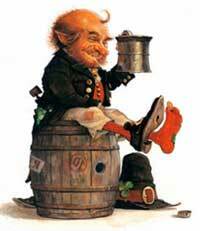 While troll fishing, he would talk about many things, but the subject of football always came into his conversations. Later on in life, Warren focused on his job, enjoyed spending time with his kids and started to watch more movies. Football movies too: “Remember the Titans, Rudy, We are Marshall, Invincible, and Radio,” to name a few. The Heavens above will be well entertained when it comes to sports. Warren, we hope you entered your stairway to heaven through a field goal. May you rest in peace and enjoy your time with Mom, Dad and other loved ones. WE LOVE YOU. Warren is survived by his children, Savannah, Alexis, and Maximus; his three sisters, Melissa Smith of West Melbourne, FA, Christin Harris Petersen and Jody Harris both of Emmett, ID; niece, Hailey Clayton; nephews, Hayden Clayton, Zach and Dylan Smith and his girlfriend, Amy. Warren is preceded in death by his father, Warren Harris; his mother, Karen Harris; grandmother, Lois Betzold Keene Sanders; grandfather, Warren “Willy” Harris; grandfather, Ted Hoff; grandmother, Francis Hoff and brother-in-law, Chris Petersen. Warren’s memorial service will be held on March 23, 2019 at the Emmett Church of the Nazarene at 11:00 AM. A luncheon will follow. In lieu of flowers, contributions may be made to the Emmett Huskie Football Program or your favorite Charity. Condolences and memories can be shared on Warren’s memorial page at http://www.flahifffuneralchapel.com. Horseshoe Bend, Idaho (CBS 2) — Some drivers are having a bit of a rough ride on Highway 55, recently. Both sides of Highway 55 near Smiths Ferry, at milepost 91, are dotted with large potholes, cracks, and dips in the pavement. Idaho’s Transportation Department tell CBS 2 News that they’ve been putting cold patches on the potholes, recently. They add that a full-scale repaving isn’t possible with the current weather. It’ll be the end of April, beginning of May before crews can get out there to fix the issue. In recent years, the Idaho Transportation Department has changed the method used to maintain roads during winter months. Previously, crews preserved a layer of snow, called a snow floor, and applied fine sand to the surface to provide some traction. Today, crews plow the majority of snow off the road and apply salt or a magnesium-chloride solution to melt what remains. The result of this approach has significantly increased safety and mobility on our highways. Maintaining bare and wet roads with salt provides better traction and vehicular control. From 2011 to 2016, annual winter crashes have fallen from 1,966 to 643. Since 2010, ITD’s mobility index has risen from 28 percent to 89 percent. These benefits may come with trade-offs in terms of the ecological impact of salts. ITD recently commissioned a literary review to study this question further. Additional study in the future is likely. There are many factors in how salt usage may affect any given ecosystem – the sensitivity of the system itself, climate, application rate and frequency of application of salt, soil profile, dilution, etc. The department will continue to refine the amount of salt needed to be effective, with a focus on minimizing the application while still achieving a bare and wet roadway for the safety benefit. We will pursue a study of the specific environmental impacts and investigate alternatives or additives to mitigate the negative impacts of this approach to maintaining Idaho’s highways. The highway has been closed for weeks due to a massive avalanche blocking the road. Boise, Idaho — A 12-mile stretch of Idaho 21 known as “avalanche alley,” between Grandjean Junction and Banner Summit, may reopen this weekend. A huge avalanche late last month shut it down. Idaho Transportation Department crews have been working since then to clear the snow. More land in west-central Idaho has been put up for sale by two Texas billionaire brothers who bought about 172,000 acres in 2016. Eleven Idaho properties are on the market, according to the website for Wilks Ranch Brokers, a real estate and property management firm backed by the Dan and Farris Wilks of Cisco, Texas. The bulk of the parcels are in Valley County, including one new listing of 128 acres near Cascade priced at $281,600. Two Valley County properties, listed last spring, sold to Idaho buyers in the fall, property records show. Jimmy Williams, who handled the properties for Wilks Ranch Brokers, declined to discuss the amount the properties sold for and to whom they were sold. One person was airlifted for medical treatment after being rescued from the building’s basement and one person was killed, according to officials at the scene. 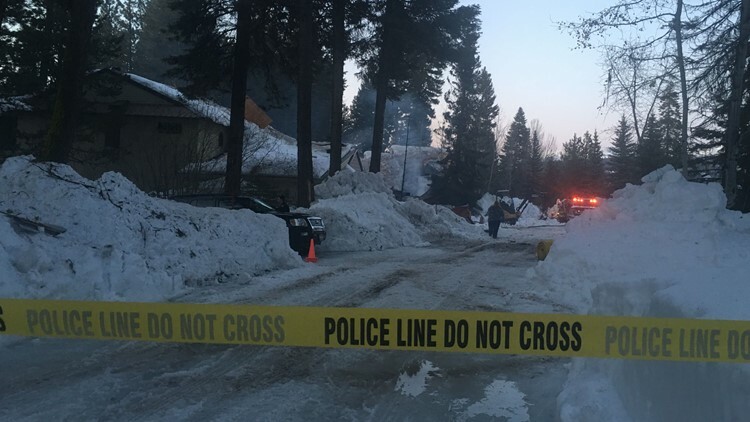 McCall, Idaho — An explosion near the McCall Golf Club destroyed a home on Sunday afternoon. One person was airlifted for medical treatment after being rescued from the basement of the home and another person was killed in the explosion, according to officials at the scene. No word on their status or extent of injuries. It is unknown if the two people lived in the home. Two neighboring homes were significantly damaged but no one was inside at the time. KTVB crews at the scene say there is only a crater is left from where the house was, with debris scattered across the area. The city council has approved spending $2.8 million on the next phase of work on Second and Lenora streets. 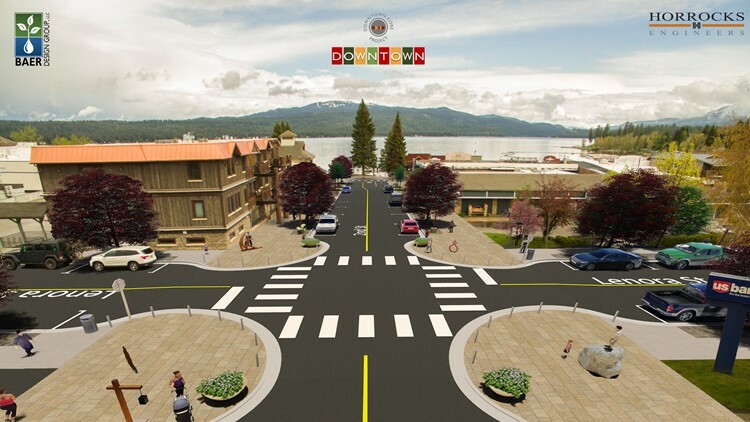 MCCALL, Idaho — Get ready for some road construction in downtown McCall this summer. The McCall City Council has approved spending $2.8 million on the next phase of work on Second and Lenora streets. McCall Public Works Director Nathan Stewart this project was started last fall when water and sewer lines beneath the roads were replaced. Due to an increase of Alcohol related incidents of misfortune, mishap, and down right debauchery, Historic Burgdorf Resort, bans the consumption of alcohol in the hot springs pool. Citing myriad customer complaints, safety concerns, and abandoned trash, in the pool and surrounding roadways, long time owners are left with no choice but to make the immediate change. One can still speakeasy in your own cabin, if you are lucky to have an overnight reservation and Alcohol is still allowed for special events. Other than that, NO BOOZE FOLKS in the Pool. Thanks for Understanding. Historian Tom Blanchard will discuss mining in Idaho, with an emphasis on Valley County and the proposed Midas Gold project, on Tuesday from 6:30 to 8:30 p.m. at the Alpine Playhouse in McCall. In “Mining in Idaho: Today and Yesterday,” Blanchard covers the historic effects of mining on local communities and the history of the Stibnite mining district in Valley County. He will also discuss the proposed Midas Gold project and the effects of political and environmental decisions from the early mining years. Blanchard has served on the Idaho Humanities Council and on the Board of Trustees for the Idaho State Historical Society. He also served three terms as Blaine County Commissioner and five years as city administrator. “Tom is able to add a very contemporary public policy perspective to historical issues which shape our lives,” said Tracey Kindall, executive director of the McCall Arts and Humanities Council, which is presenting the talk. Admission is free for the presentation. The Alpine Playhouse is located at 1210 Roosevelt Ave.
Boise, Idaho (CBS 2) — Spring will be here soon and, along with the return of warmer temperatures, comes the return of door-to-door salespeople. Idaho power reported that some salespeople are posing as Idaho Power contractors and making promises that just aren’t true. “If someone comes to your door stating that they’re an Idaho Power employee or working with Idaho Power, that’s a red flag,” said Idaho Power employee Danielle Ready. Salt Lake City (KUTV) — If you’ve taken a Facebook quiz, you should be aware that some of them were designed to steal your personal data, a lawsuit from Facebook states. Quizzes with titles such as “Do you have royal blood?”, What does your eye color say about you?”, and “What kind of dog are you according to your zodiac sign?” are just some of the quizzes hackers used to steal user data. Washington, D.C. — President Donald Trump signed into law Tuesday the Natural Resources Management Act, which contains legislation authored by Idaho U.S. Senator Mike Crapo that establishes boundary changes for three wilderness areas in Owyhee County. “The collaboration among the Shoshone-Paiute tribes, recreational groups, conservationists, ranchers, local residents, elected leaders and others is working to preserve the cultural, environmental and economic future of those who have lived in Owyhee County for generations,” said Crapo. “The changes signed into law by President Trump reflect the original intent of the members of the Owyhee Initiative — and ensures those who have accessed public lands for generations in the Owyhees will continue to do so, while also continuing to maintain preservation measures. Boise, Idaho (KIFI/KIDK) – A new license plate will soon be available at your local DMV. Governor Brad Little signed House Bill 105 into law Friday. The legislation creates a “pet-friendly” license plate featuring a dog and cat, and the money for the plate goes to pay for spaying or neutering pets owned by low-income families. Rat poisons were pharmaceutically invented years ago, by the Wisconsin Alumni Research Foundation, called WARF, and the drug it produced was called warfarin. This drug killed rats and mice around silos and barns in Wisconsin and all the Midwest and U.S. Its common pharmaceutical name in human and veterinarian medicine is Coumadin. It is now commonly used in stroke victims and potential stroke victims in human medicine, along with many other drugs, to prevent strokes in our humans. Unfortunately, these poisons are in baits that kill rats and mice but are also accessible to our companion pets. The bait-treats can be found under homes and decks. Please check those places for unknown rat bait that could be placed by previous owners and renters. Osteosarcoma (OSA) is one of the most common forms of bone cancer seen in veterinary patients. Most often, this devastating disease is seen in large-breed, intact (not spayed/neutered) dogs, although any dog or cat is susceptible. The disease most commonly affects the appendicular skeleton, so the limbs are the most likely area of the body to be impacted. We also use the slogan “toward the knee and away from the elbow” to refer to where on the limbs this disease is most likely to appear. Washington, D.C. (KIFI/KIDK) – Idaho Congressmen Mike Simpson and Russ Fulcher applauded Acting Secretary of the Interior David Bernhardt’s announcement that the U.S. Fish and Wildlife Service (USFWS) will propose a rule to delist the gray wolf in the lower 48 states. This decision would build on the successful recovery of the species and the successful implementation of delisting in the State of Idaho which has responsibly managed the species. Qualified adopters are eligible to receive $500 within 60 days of the adoption date and an additional $500 within 60 days of titling. 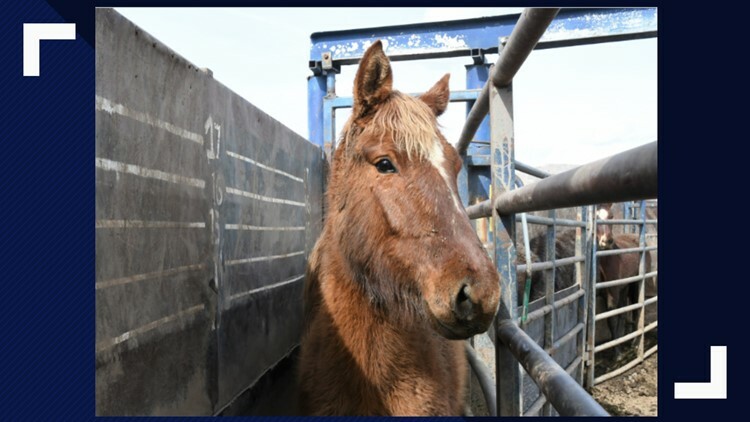 Boise, Idaho — The Bureau of Land Management is now offering new financial incentives to encourage people to adopt wild horses and burros removed from public lands. Through the new incentive program, qualified adopters are eligible to receive $500 within 60 days of the adoption date and an additional $500 within 60 days of titling for each animal, which normally occurs one year from the adoption date. The incentive is available for all animals that are eligible for adoption. That means two areas that have been closed will reopen immediately. Boise, Idaho — Idaho anglers will be able to keep fishing throughout the spring season. The Idaho Department of Fish and Game received federal reauthorization for its steelhead fishing season Friday. That means fishing will continue uninterrupted, and the two areas currently closed will reopen immediately. “During this difficult period, we greatly appreciate the patience of anglers, outfitters and guides, and other businesses and communities that rely on steelhead fishing,” said Fish and Game’s Fisheries Bureau Chief Jim Fredericks. The Idaho Fish and Game Commission is pleased to announce the development of the Commission Community Challenge Grant program. This exciting new grant program provides competitive funding for officially recognized non-profit organizations to implement projects that are broadly supported by the local sportsman community and enhance fish and wildlife habitat, populations, or associated recreational opportunities. These elk are facing an especially challenging winter as much of the state deals with record snow and below-freezing temperatures. The Oregon Department of Fish and Wildlife posted the video of the herd crossing a road in the Grande Ronde Valley in northeastern Oregon. This entry was posted in News 2019 on March 17, 2019 by The Yellow Pine Times.